You are currently browsing the tag archive for the ‘Hurricane Sandy’ tag. The City, the University, and everyone at SPS are diligently working to cope with the aftermath of the many challenges associated with Hurricane Sandy. I want to express our deepest concerns and support for those who may have suffered loss during this challenging time. 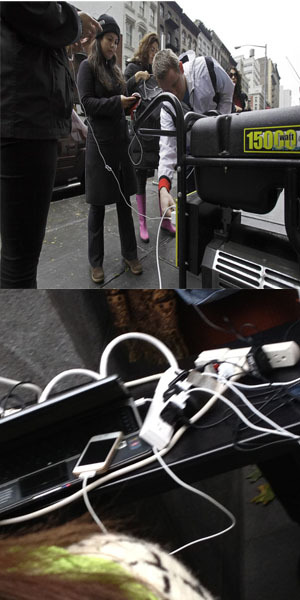 Yesterday, as I made my way to the SPS’s offices, I noticed a number of spontaneous “charging stations” cropping up throughout midtown. These stations, powered by generators and extension cords, have allowed individuals—neighbors and strangers alike—to power up their devices, and they remind me that small things can make a big difference. If you or someone you know needs assistance in the coming days, resources can be found at the FEMA, the American Red Cross Greater New York Region, and NYC311 websites. For those members of the CUNY community who want to aid their neighbors, please remember that Citizen CUNY is an easy way to find volunteer efforts. Additionally, the New York City Office of Emergency Management website is a good place to obtain current information about recovery efforts, status of transit/transportation and electricity, amongst other information. While the recovery process from this disaster is going to be very slow, very costly, and very sobering, we will prevail. We’ve prevailed before and I encourage all of us to do our best to recharge and support one another. Small things—a phone call, an email, a brief conversation, a smile—can not only make a difference, but can make things happen. I encourage you to support one another simply by being in touch. Reach out to your fellow classmates, your instructors, your friends, and know that together we are resilient and will rise to face those challenges that are ahead. Brian A. Peterson is the Associate Dean for Administration and Finance at the School of Professional Studies. My usual flurry of associate deanery was interrupted late Wednesday afternoon by a call from the New York City Office of Emergency Management (OEM). Not that I minded the interruption, I love the OEM, but I knew the call could only mean one thing: SPS was being mobilized to help the City prepare for the arrival of a major storm. I bet you didn’t know that our School – your School – plays a role in helping OEM implement the City’s coastal evacuation plan. Last year, we finished enhancing the capacity of the web-based disaster management tool that manages the City’s sheltering system, and we also created and coordinate the emergency shelter training offered by OEM to City employees who serve as shelter volunteers during such events. Last August, in fact, we deployed and supervised the web-based tool that informed, placed, and tracked over 5,000 workers and 10,000 evacuees at 80 of the City’s evacuation sites during Hurricane Irene. 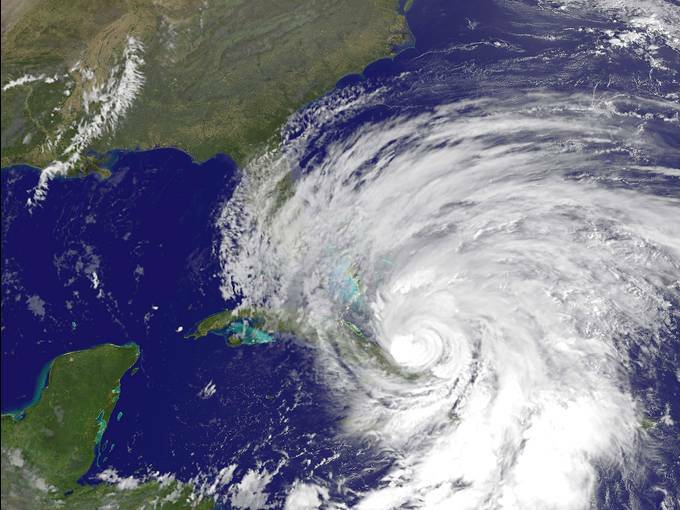 We had completed building the program for OEM just weeks before; it had not yet been tested in real-life conditions, and we were new to the hurricane business. It was scary, stressful, and exhilarating to know that our SPS team was making a difference in the lives of our fellow New Yorkers. Being on the phone with the Mayor’s Office was pretty exciting, too. And so, here we are again: a major storm – actually, a confluence of a couple of major storms – is heading our way, and is expected to begin to affect our area on Sunday. Our SPS team will be hunkered down with our sleeping bags and takeout food at the School’s offices throughout the storm, making sure that OEM has what they need to ensure that our City’s shelters and their volunteers are ready to help as many people as may be necessary. I couldn’t be prouder. Stay tuned to the OEM website, as well as to your local television, radio, and web stations for updates as the storm approaches. And above all, stay safe!